Le restaurant n'accepte pas les tickets restaurants. Great service and delicious food. Would go again! Amazing place, real Italian hospitality! Pasta is the same as in Italy. Wine was bad, i believe it was already "old". The dish was fine. Really busy at lunch. It was very good! I only can recommend It. Belle table italienne. Anti pastis et pâtes fraiches maison. Absolutely fantastic. One of the best Italians food I’ve ever tasted (including Italy itself !) Excellent service, very good prices - what else to expect - keep it up ! Excellent pasta and the manager (Ciara) was really friendly and made us laugh! Very warm welcome, we loved the food!! For the quality of the pasta, Pastamore was really good value. The truffle pasta was the highlight for us, perfectly cooked with ample cheese and truffle, delicious! Make sure to have a reservation, otherwise you may not get a seat. We had a great pasta and the coffee was the best in Paris! Family atmosphere, cosy small restaurant, highlight on menu: vongole, lasagne and Pastamore special. Lovely service and very good food. 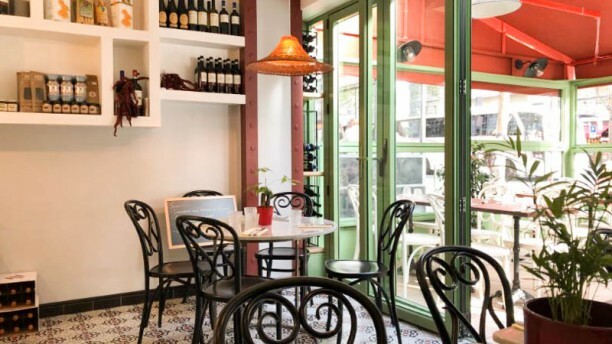 It’s a quaint neighborhood restaurants with fresh pasta that is authentically Italian.